Though this release finds the band exploring quieter territory, there's a tangible intensity throughout many of these songs. The Avett Brothers don't care what the critics say. Or, to be more specific, The Avetts certainly don't care that yours truly deemed much of their last album too sparse and slow, right here. 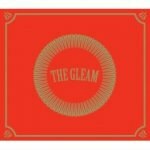 The Gleam is the new six-song release by brothers Scott and Seth, and it is just that: sparse and slow. This EP fails to capitalize on the shout/strummed spark that, in my opinion, makes this band truly shine -- but that's not to say that there aren't some gems. Opener "Sanguine" is lyrically complex and could be read as a response to critics concerning the band's direction. The mid-tempo "When I Drink" has the charming pathos of their prior work. My wish? To hear it re-worked into a live foot-stomper. The Gleam's highlight -- and, in fact, a highlight within the Avetts' entire catalog -- is "If It’s the Beaches", a lovely piano/strings contemplation on departure and loss. It will be interesting to see how the band fits this song into its notoriously raucous live set. Though this release finds the band exploring quieter territory, there's a tangible intensity throughout many of these songs. At their heart, however, I believe The Avett Brothers is a bluegrass band with a punk attitude. Here’s hoping The Gleam's successor also sparkles -- but with a little more shouting.